E-commerce and online banking may be killing the post office... but they are also helping it keep its head above a torrent of red ink. The United States Postal Service posted a quarterly net loss of $1.9 billion on Friday, as volumes of first-class mail -- still its most profitable product -- fell by 4.1 percent in the second quarter. More Americans are opting to communicate and pay bills via the Internet. But the very reason for the decline in snail-mail is also helping the agency as its shipping and packaging business remained a bright spot. The agency, which has leveraged the growth in e-commerce, saw its shipping and packaging volumes grow by 7.3 percent as more people shopped online and needed carriers to deliver their goods. The Postal Service is also still struggling under the weight of heavy mandatory payments into its future retirees' health fund, which was required by Congress in 2006. The mail carrier has sought legislative relief to allow it to modernize its business service offerings, restructure the retiree payments, and shift to a five-day mail delivery service. 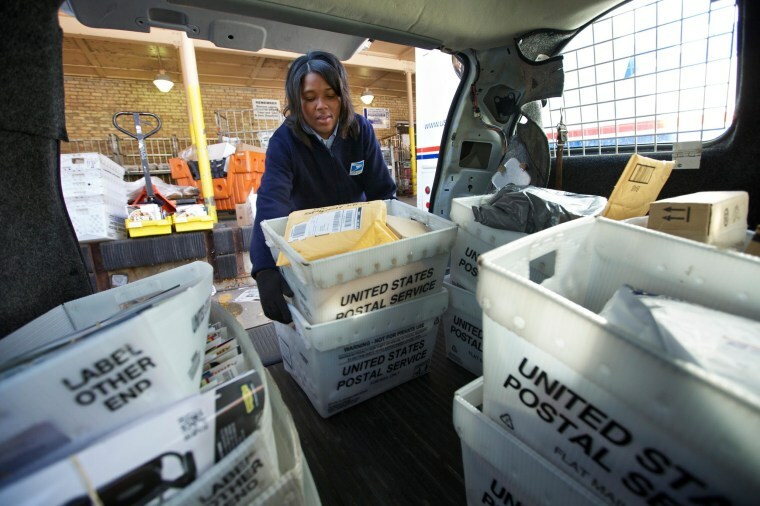 But Congress has for years remained gridlocked on postal reforms, partly by pressure from the mailing industry to maintain the status quo as well as some lawmakers' reluctance to see postal services cut back in their districts. The mail agency, which does not rely on taxpayer funds, has said it could require a massive taxpayer-funded bailout in excess of $50 billion by 2017 if Congress fails to act.